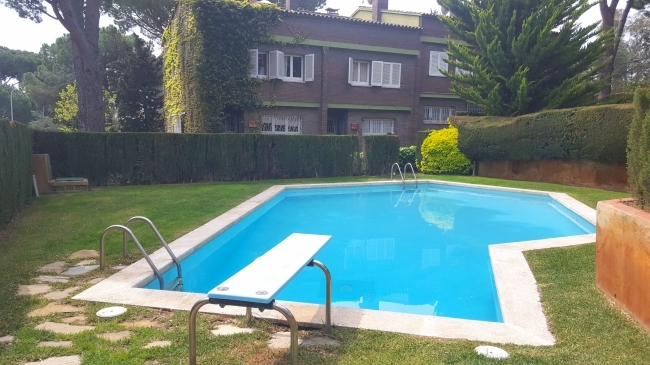 House of 130m2 located in Lloret residencial at 15 minutes from the beach of Lloret de Mar. It is distributed over 2 floors: On the ground floor are the living-dining room with terrace exit, the kitchen (Gas, oven, microwave) , 3 bedrooms (1 with 135x190 bed, 1 with 135x185 bed and 1 with 2 single beds (80x180 and 80x190), 1 full bathroom with tub and 1 separate WC.On the lower floor is a fully independent apartment (exterior access) with living room-dining room, small kitchen (vitroceramic, oven), 1 bedroom with bed of 130x180and 1 bathroom with shower. At this level are also the swimming pool and the barbecue area completely sheltered. At the lower level is a garden well maintained. Possibility to park 2 cars one behind the other. 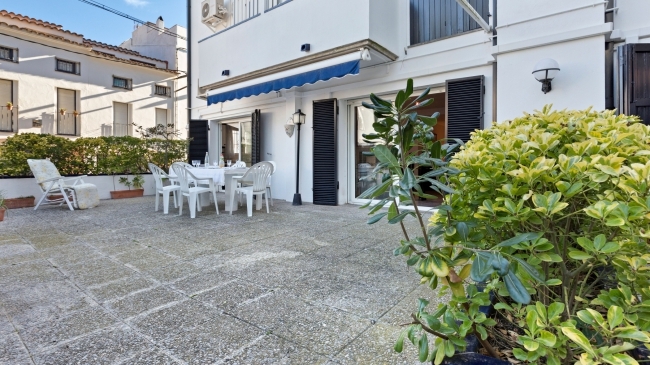 Large ground floor apartment located in the center of Llafranc just 100m from the beach. 3 double rooms (2 with double bed (TV) (150x190cm, 160x190cm) + 1 room with bunk beds (90x190cm)) and 1 single room (TV) (90x190cm). 2 bathrooms with bathtub (one en suite) + 1 toilet, equipped kitchen (gas stove, oven, microwave, dishwasher) with laundry area (washing machine and dryer), living room (fireplace, TV, DVD) with exit to a large terrace with outdoor furniture. Air conditioning in all rooms in option (90 euros / week). 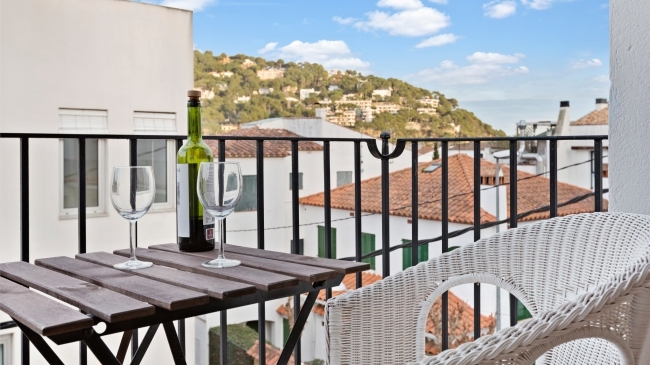 Villa in Llafranc of 165 m2, located just 600m from the beach. complex with swimming pool. Distributed in three floors. Living room with fireplace, Tv, kitchen, 5 bedrooms (1 suite, 1 double and 3 singles) terrace whit private garden, two bathrooms and a toilet. Community pool and private garage. 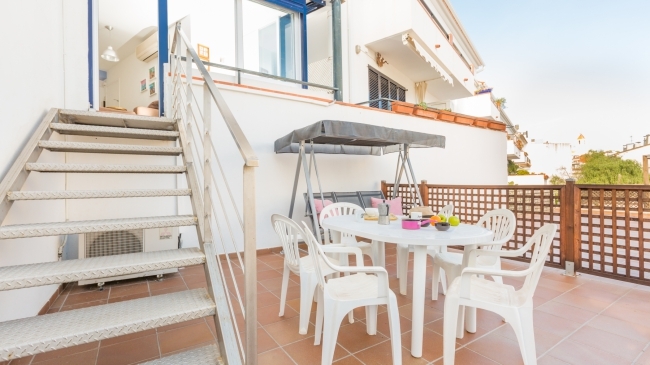 Villa Tensi, simple house (150m2 + 470m2 of plot) placed in a calm zone of Blanoes, only 3Km from the beach and 1.5Km from the centre.Very familiar house divided between 2 floors. In the 1st floor there is a lounge dining room (fireplace, TV), an equipped kitchen (washing machine, microwave, gas stove), 3 bedrooms; (1 with a double bed (140x200cm), 1 with 2 single beds (90x200cm)) and another single room (bed 90x190cm), 1 bathroom with a tub and bidet. There is also a closed porch (table and chairs) with direct exit to the exterior zone. The top floor has 2 rooms; 1 with a double bed (140x200) and the other with 1 single bed (90x190cm). There is also a wide living room with sofa-bed, 1 bathroom with a tub and bidet. A nice terrace with sea and mountain views. Swimming pool 5x4 and barbecue. Parking.Optional heating. (cost not included) Price extra in case of use: 50 Euros/week). Free Wi-Fi connection.